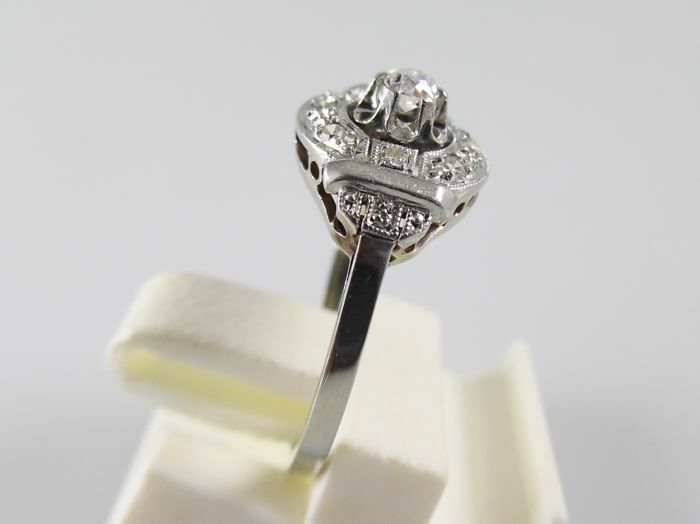 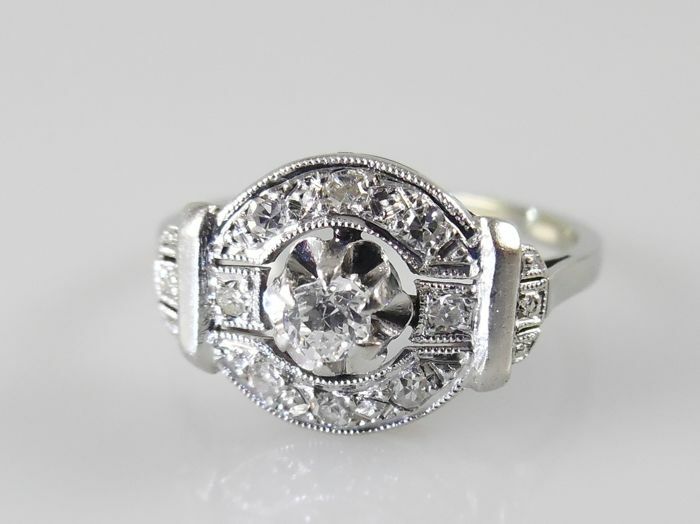 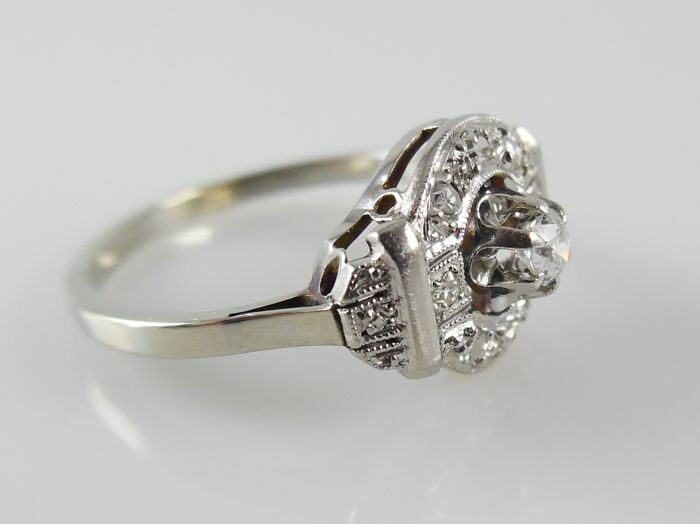 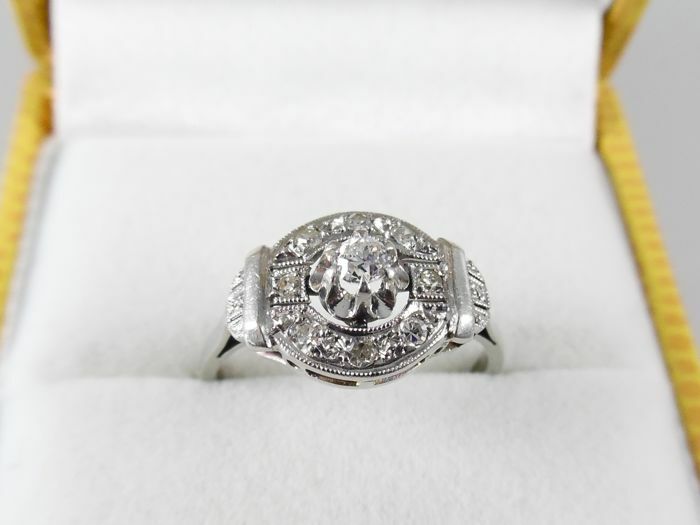 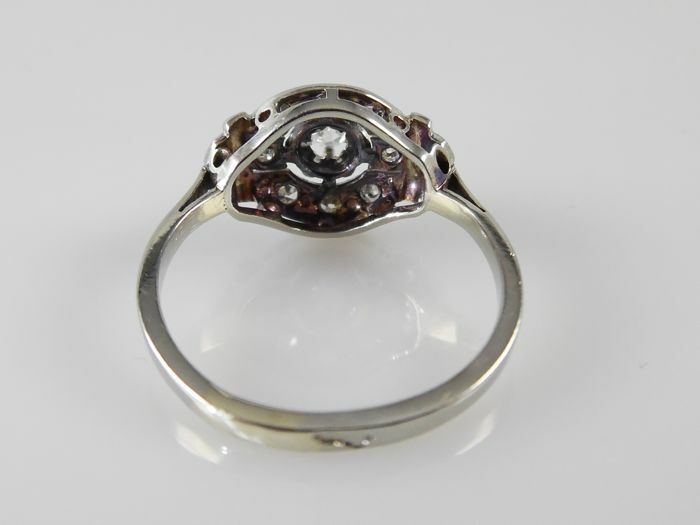 This stylish Art Deco ring has an oval crown of 13.5 x 9.5 mm. 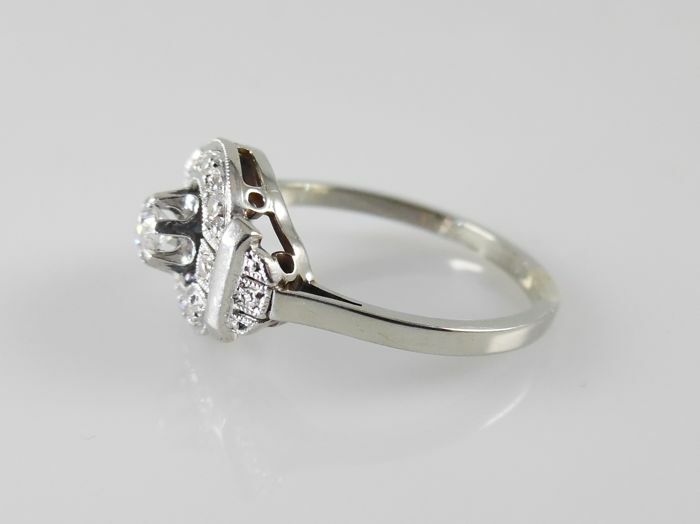 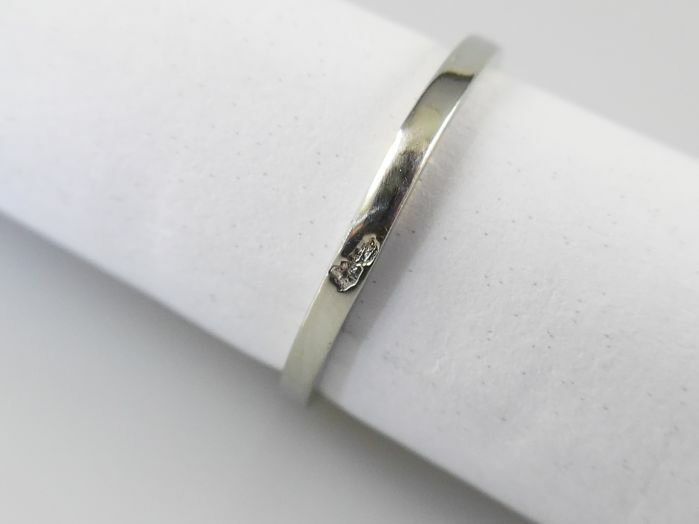 The crown is made of platinum with fine milgrain edges, the shank is white gold. 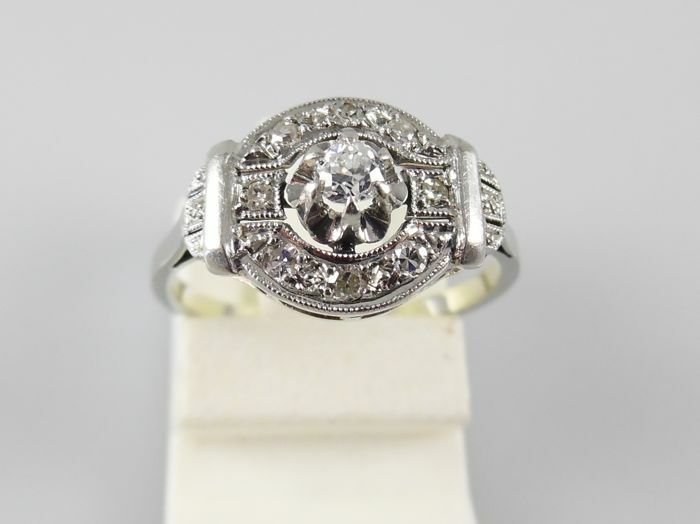 The ring is marked with the French hallmarks for 18 karat gold and platinum. 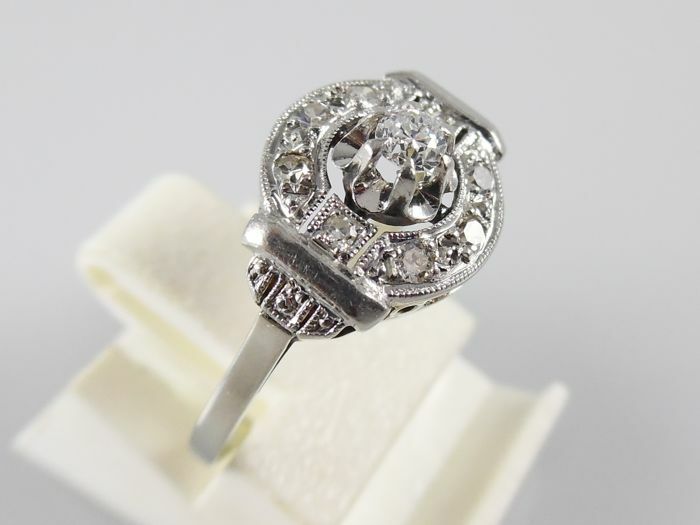 Will be shipped registered and insured, in a luxurious jewellery box. 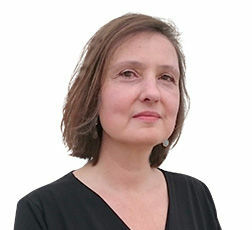 Du kan hämta det här objektet hos säljaren: Kampen (), Nederländerna.